You are looking for a new challenge or a different kind of workout you can do anywhere? You want to get in shape (quickly) and increase your stamina, endurance and conditioning? Then these workouts are perfect for you! All you need is a jump rope! For now, I have 2 videos for you. If you follow along, you'll engage in 10 minutes of intense exercise in each video The first video follows a 2:1 schedule (2min jump rope : 1 minute body weight exercises). 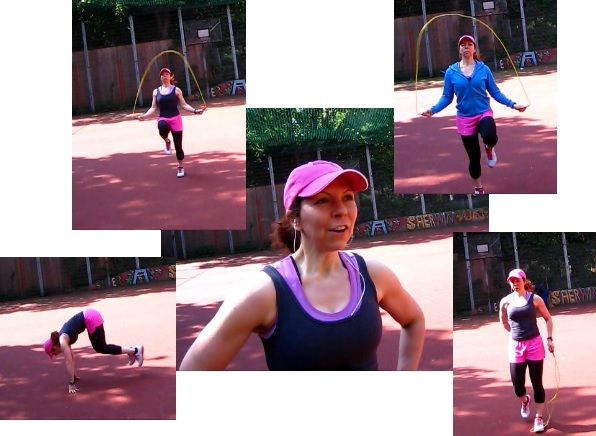 The second video follows a 1 : schedule (1 minute jump rope : 1 minute body weight exercises). If you are looking for an intense 20min workout to really get you winded, then either do 2 rounds of one video OR combine these video (10 min of each) - it's up to you. Don't forget to warm up and cool down- stretch (! ), work at YOUR level, progress gradually and most of all HAVE FUN!